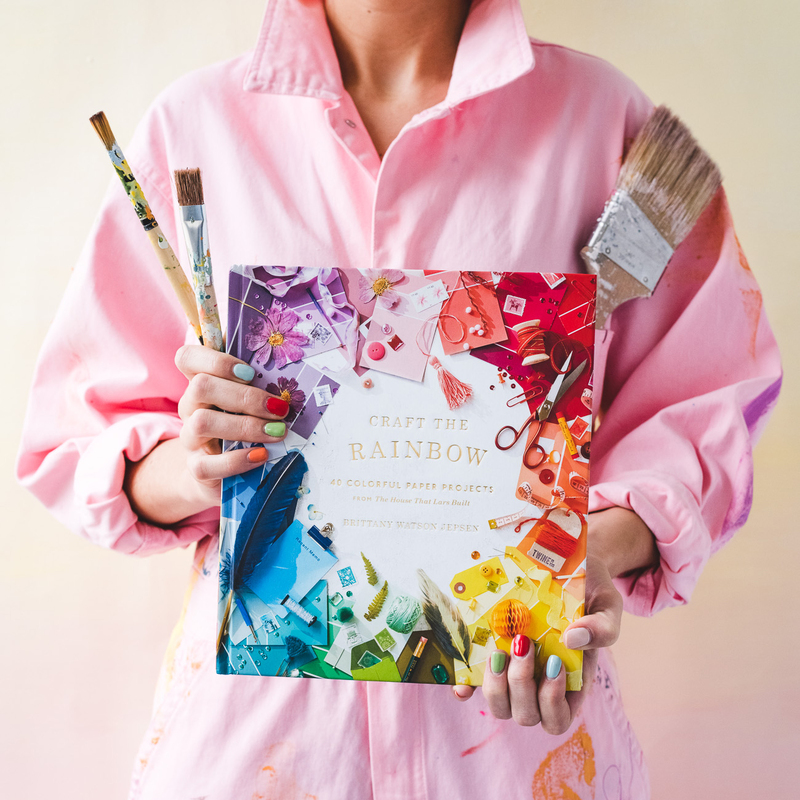 Craft the Rainbow is available for pre-orders! You see that book in the flesh? It’s real! Let the games begin! 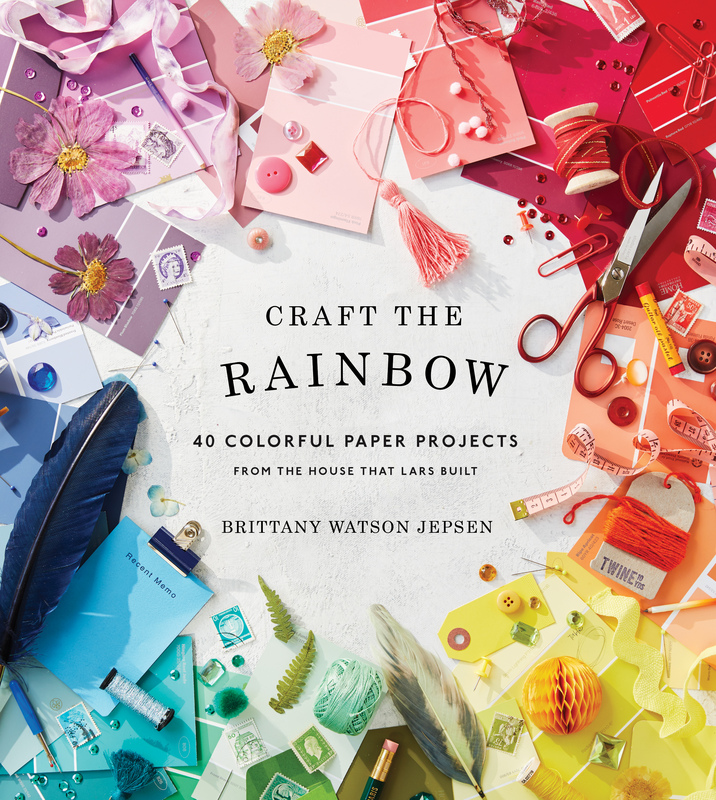 I’m so so thrilled to announce that Craft the Rainbow: 40 Colorful Paper Projects from The House that Lars Built, our huge labor of love/book that’s been in the works for years/I can’t believe the time has finally arrived, is now available for pre-order! Hallelujah! I just received my copy and it’s GORGEOUS! It’s as smooth as buttah with gorgeous gold leaf engraving and creamy pages. You guys, I agonized over every single page of this book down to the ribbon used in the binding. Sadly, I’m not joking. It’s thrilling to see it all come to life and reveal it to the world! The book officially comes out April 24th, but listen, I’ve got a secret to tell you: you’re going to want to buy it on pre-order NOW because we have the best pre-order gift in the history of pre-order gifts. 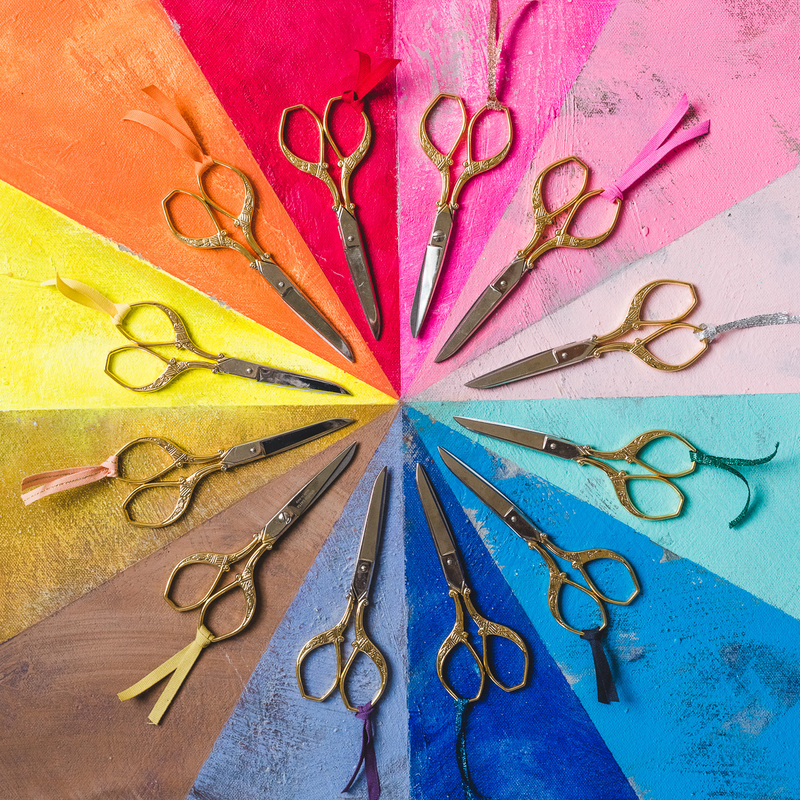 We’ve teamed up with Angela Liguori of Studio Carta, the beautiful Italian ribbon and accessories shop from Italy, to offer you her famous Florentine scissors FOR FREE! It’s a $32 pair of scissors absolutely free if you order our book between now and April 24th, for US residents only. BUT, there’s a special way to order it and I don’t want you to miss out on doing it correctly so listen up! Learn how to receive your pre-order gift below! To redeem, you must fill out this form listing your mailing address and upload a screenshot or picture of your receipt. When we were brainstorming what we wanted as our pre-order gift, we knew we HAD to give you something meaningful and I couldn’t think of anything more appropriate for a paper craft book than these. And not just any ‘ole pair of scissors, but THE BEST pair of scissors out there. Angela Liguori of Studio Carta carries the best of the best and it’s an absolute dream come true to work with her on providing them for you, dear readers. 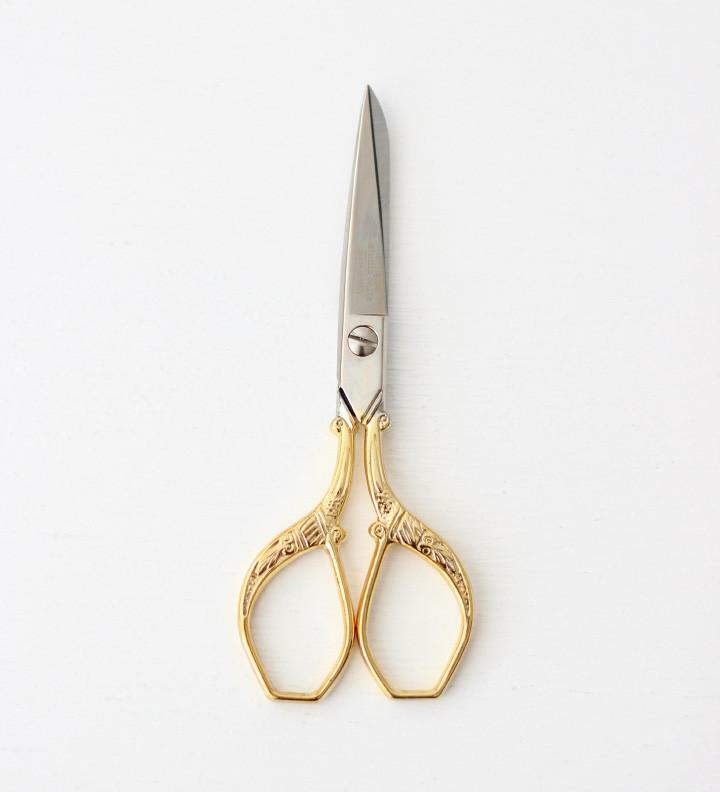 The Florentine scissors are as beautiful as they are precise. Expertly crafted in Italy from hard-tempered steel and covered with a thin layer of 24-karat gold, they easily cut through textiles, ribbon or paper – perfect for both detailed and simple cutting. An intricate leaf and floral design with tiny scissors accents adorn the handles. 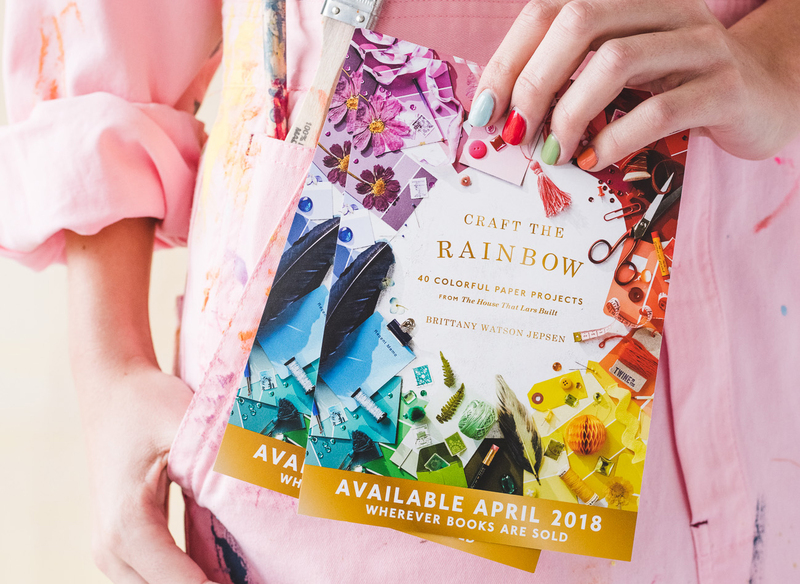 And if you haven’t joined yet, hop on over to our Craft the Rainbow Facebook team where we share previews of the book, giveaways, discounts, and design challenges. I’ll be doing a special Facebook Live exclusively on this closed Facebook group sharing the actual book and some sneeks today at 2pm MST so please join in! I appreciate all of you who have witnessed this journey from a little school blog started 10 years ago (!!!!) to a book and I can’t thank you enough for joining along with me. It means the world to me and my team. If you’re feeling continuing generosity, feel free to help us spread the word about Craft the Rainbow and especially this amazing gift. I feel so honored and humbled to be able to offer you this meaningful gift in return of your support. To be totally vulnerable with you, my goal is to have a New York Times Best Selling book. I realize a craft book has probably never ever made the list, but a girl can dream! And dreams don’t happen without the help of others. Thank you for helping me along on this! You are the best! Every single one of you! My only regret is that the offer is limited to residents of the 50 U.S. (and D.C.)… Not fair for your international residents, but I understand. Love your projects! Beijinhos from Portugal! Can’t wait to see this beautiful book! I am so excited for you! Brittany you inspire and amaze me!